People who make resolutions are 10 more likely to hit their goals than people who don’t make resolutions. It’s likely because they were SMART about it. We’ve settled into 2018 by now. If you welcomed the new year with a resolution or three, how’s that going? Chances are, not so great. Statistics reveal that only about 9 percent of people actually achieve what they resolve to do in the new year. If you find yourself in that camp, revising your resolutions to make them SMART goals can be the magic you need to achieve success. SMART is an acronym that gives you a roadmap for meeting your goals, making them Specific, Measurable, Attainable, Relevant and Timely. Let’s break those down. “Get healthier” can mean all kinds of things — lose weight, eat more vegetables or lower blood pressure, just to name a few. But even those are too broad. Your goal needs to be specific so you know what you’re aiming for. When you can measure your efforts, you can stay on top of your progress. “Eating more vegetables” becomes measurable by specifying that you’ll eat four servings a day. Be realistic when you’re setting your goals. You want to find the sweet spot between setting yourself up for success and pushing yourself to improve. If vegetables haven’t crossed your lips since your mother fed you carrots from a jar, vowing to move to a plant-only diet right out of the gate is a pretty significant jump in vegetable consumption. Hit one milestone then reach for another. Make sure your goal is practical for you and your circumstances. 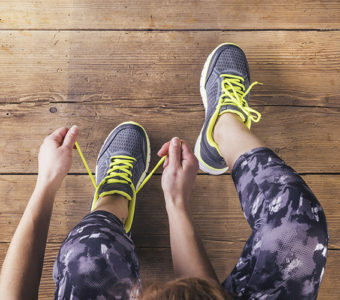 Vowing to exercise every morning before work may set you up to fail if that means you’ll have to get up at 4 a.m. to get your workout in before getting you and kids out the door. Knowing you could walk during your kids’ soccer practice three days a week is a more realistic way to hit your exercise goal. Give yourself a timeframe. With no end in sight, there’s always tomorrow to start and get serious about hitting your goal. A timeframe — by the wedding, by July 1 — gives your goal a sense of urgency and helps keep you accountable. Nutritional SMART goal: I will eat four servings of vegetables every day for the next three weeks. Exercise SMART goal: I will walk or run 10,000 steps six days a week until May 1. Life balance SMART goal: I will turn off my phone when I get home from work until the kids go to bed during the school year. And there’s one more step: reward yourself when you reach your goal! Treat yourself to something in line with what you’ve been working toward — new workout gear, or a movie out with the kids, for example. 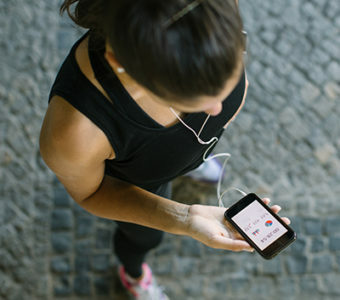 What's "Appening": Build Your Exercise Toolkit with These 7 Fitness Apps Looking for new ways to get your move on? Here’s a start.